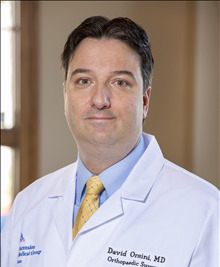 Dr. Orsini lives in Georgetown with his wife and five children. He is an Orthopaedic Surgeon with specialized training in problems of the foot and ankle. From simple bunions to a complex ankle joint replacement surgery, he is ready to treat all your foot and ankle pain.